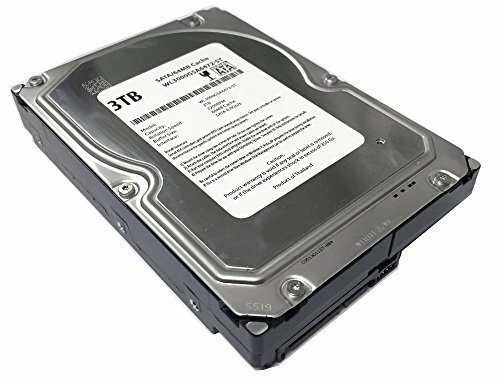 This is a White Label 3TB SATA hard drive featuring with 7200RPM, 64MB cache SATA 6.0GB/s 3.5" Desktop hard drive with 1 year warranty. A white label product is a product made by major hard drive company that manufactured for other companies (OEM Hard Drive Reseller/VAR) re-brand to make it appear as if they made it or for large volume special application. Industry's highest capacity nearline drive - SATA III (6.0Gb/s) hard drives are available in capacities 3 TB to suit even the most demanding storage needs. Highest performance for business-critical applications - delivers 6 Gb/s transfer rates, sustained sequential data rates of 171 MB/s and high random I/O rates. Designed for quality and reliability - this high performance drive delivers the highest level of reliability for 24x7 operation in up to 100% duty cycle applications.